This jungle paradise offers lots of beachside activities and accommodation options. 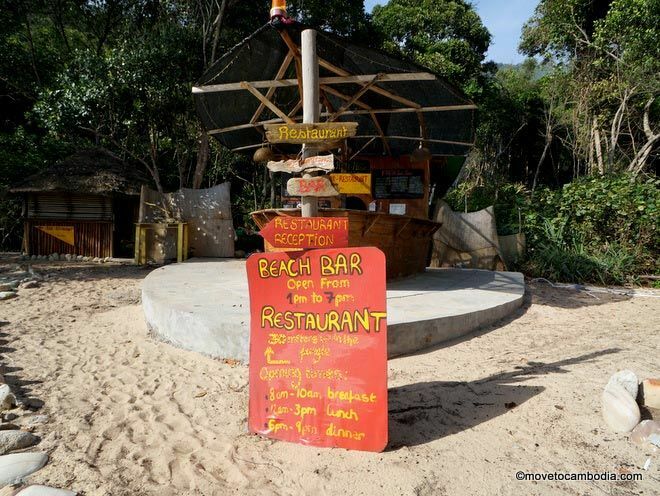 The curiously named Huba Huba is at the top of Sunset Beach on the western side of Koh Rong Sanloem. They’ve got an extensive array of accommodation options at various price points, from hammocks and dorm beds to tents and private bungalows. Chill out at Huba Huba on Koh Rong Sanloem. This French-run business has a lot going for it in terms of activities. They’re directly in front of a beautiful spot for snorkeling and next to the Dive Shop, which can help those who want to try diving or more serious snorkeling. Guests can also keep themselves entertained with a beachside volleyball court and a pétanque court, plus darts and board games. Every evening Huba Huba has something organized, such as a beachside BBQ, a Survivor-style beach game, poker night, or a volleyball tournament, plus weekly movies on the beach. In addition, there are ample locations to lounge: hammocks strung up along the beach, sun loungers with thatch umbrellas, and colorful bamboo mats with tables and pillows. 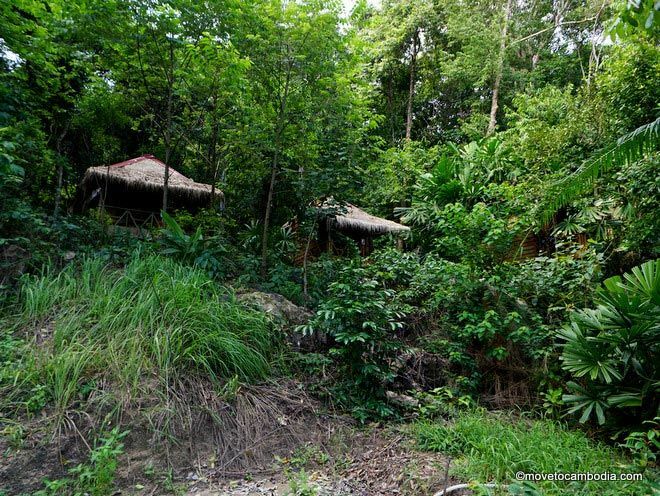 Bungalows nestled in the jungle at Huba Huba. They have two types of private bungalows: the double bungalows have a double bed and shared bathrooms ($20-30), while family bungalows have a double bed and a set of single bunk beds as well as a private bathroom ($30-40). Beds have mosquito nets and each bungalow has a security box. The double bungalows are set in the jungle uphill from the beach, while the family bungalows are just back from the beach. Each has a private balcony with table and chairs, a hammock. and excellent sea views. The wooden bungalows are simple but clean and the bathrooms have tiled cool freshwater showers. Also on offer are two-person tents with a futon inside, or larger tents for two or three that are next to the beach with views of the sea. Above the restaurant and bar there’s an open-air dorm — there’s a roof but no walls, but plastic to pull down if it rains — where you will get a lovely breeze and fall asleep to the sounds of the sea (or the sounds of the bar below, if you go to bed too early — but in high season the bar and restaurant move to the beach). Huba Huba has a ship-shaped (ship-shape?) beach bar. The restaurant and bar serve up breakfast, lunch, and dinner, with both Khmer and Western options and lots of choices for vegetarians, plus fresh seafood when it’s available. Huba Huba has limited electricity during the day, only from 8 to 10 a.m. They start the generator back up at dinner time and keep it going until the bar closes, which pretty much happens only when the last guest stops drinking. There is no internet access, but in lieu of WiFi they have a boat-shaped beachside bar and a sunset happy hour from 4 to 6 p.m. with $1 beer or pastis or their signature cocktail, the “Sunset Punch,” for $2. 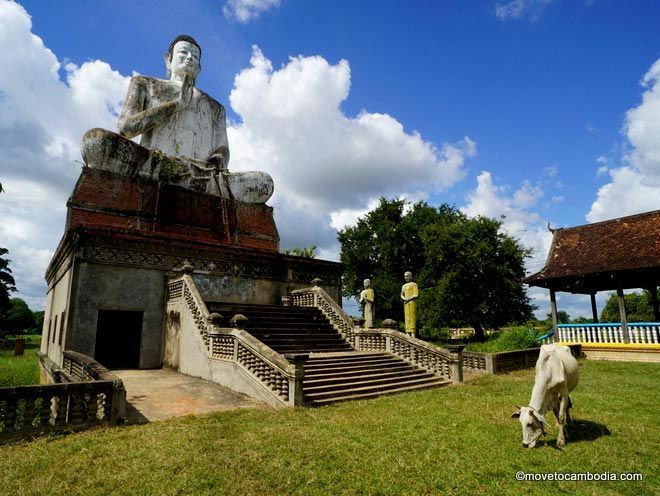 During high season Huba Huba can be reached by the 2 p.m Buva Sea ferry from Sihanoukville and tickets can be purchased online for $20 return. During low season, contact them to make sure the ferry times are the same. 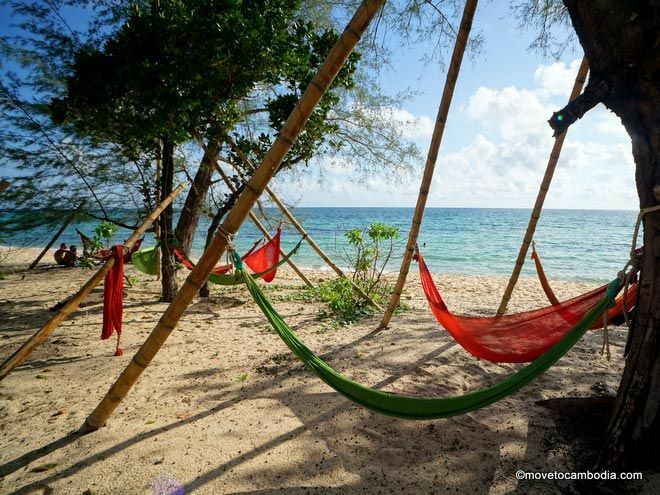 Find out more about how to get to Koh Rong Sanloem here. There’s an extra $10 charge for each additional person over two in the bungalows. 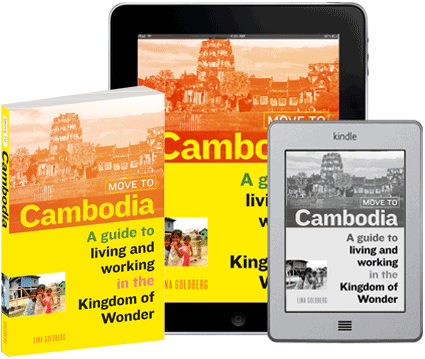 → Check prices and book a room at Huba Huba on Booking.com or Agoda now.